What’s your first reaction when you hear the word Waziristan? Depending on your grasp of world geo-politics and history, not much perhaps. But when you realise that Waziristan borders the North West Frontier, the territory between Pakistan and Afghanistan, then you just may associate it with tribal unrest, lawlessness and even international terrorism. After all, this is part of the area where The Great Game was played out between the British and Russian Empires for supremacy in Central Asia during the 19th and early 20th centuries. An area branded The Badlands by the Pakistan Government and by Washington as the most dangerous place in the world. Synonymous with the Taliban and Al Qaeda, it’s rife with militant groups while tribal customs often force women to remain at home. So when you hear that Pakistan’s number one female squash player, Maria Toor Pakay, hails from South Waziristan you may wonder just how she got to where she is today. In fact, it was Pakay’s father, Shamsul Qayum, an elder of the conservative Wazir tribe and civil servant, who first noticed her combative potential – brawling with street boys in her home village of Shakai. He took her to the northwestern city of Peshawar and began training her as – a weightlifter – even disguising the 10-year old Pakay as a boy to enter her in the National Boys Weightlifting Championship. She won in her class. But then came a life-changing event. Pakay met the legendary squash player and eight times World Open Squash Champion, Jansher Khan, himself a native of Peshawar. 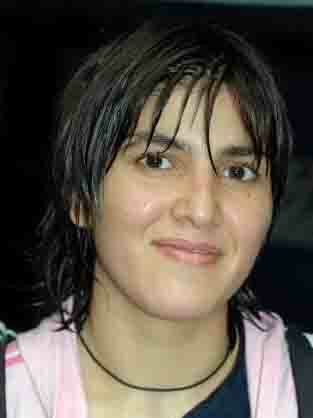 She took up squash and in 2004, at the age of 14, became Pakistan’s top female squash player. Gradually climbing the international rankings, Pakay is now in the World Top 100 and recently made the semi-finals of the World Junior Squash Championship in India. This entry was posted in Squash and Culture, Squash Players and tagged Female Squash Player, Maria Toor Pakay Squash player, Pakistan’s Top Female Squash Player, squash players, World Open Squash Champion by Peter Heywood. Bookmark the permalink.